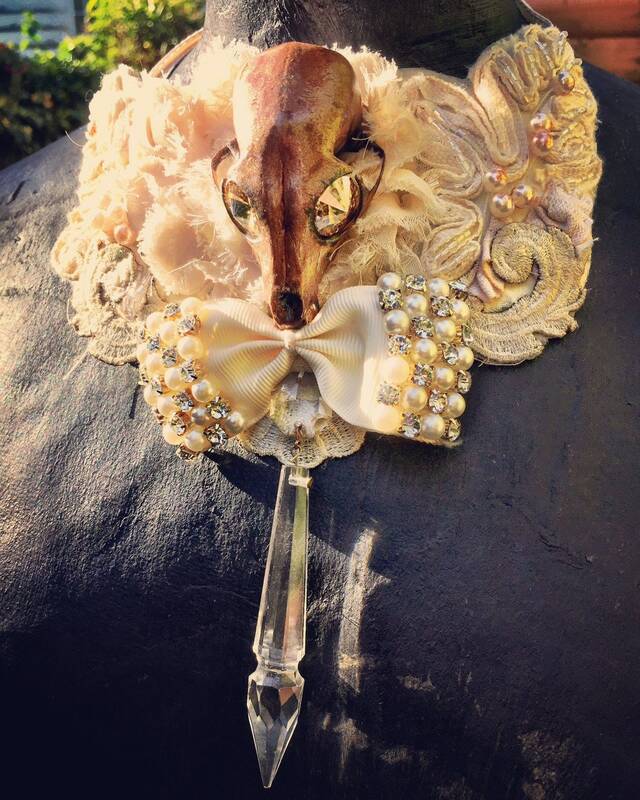 Gorgeously creepy hand painted gold skull with sparkling gold colour Swarovski eyes on a cream lace neckpiece with beads and more sparkle and a huge vintage chandelier crystal drop. Will complete a lavish Halloween outfit! 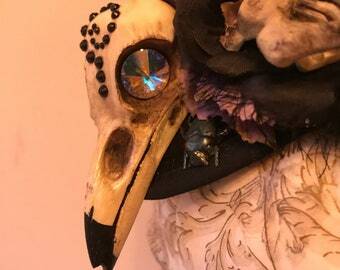 Resin replica skull securely fixed to lace neckpiece. Ribbon tie.